copyright © 2016 ShofarProductions.com All right reserved. No portion of this document may be reproduced in whole or in part without the expressed written permission of the author and/or publisher. There are many believers in Yeshua (Jesus) celebrating the biblical feast days (Holy days) today. This is part of the end time return to the foundations of our early faith. History clearly proves that the early church followed feast days such as Passover, as seen in Passover-Easter Quartodeciman Controversy at the start of the early church. Any study of this controversy will reveal that it was the custom of the early church to celebrate the Passover on the 14th day of Nisan according to the Jewish calendar. It's a great thing that people today are getting back to the foundations of the Christian faith and celebrating the biblical feast days. Yet, there are also people who stir up controversy and divisions by arguing that the Hebrew calendar is wrong and that their invented calendar is the only "correct biblical calendar" that believers MUST follow. These calendar "experts" claim that if you fail to use their calendar, then you're not celebrating on the "correct" biblical feast day and are therefore out of sync with God. Whenever you have a great move of God, there is always someone who attempt to control it, profit from it, or mess it up by introducing their man-made rules. In response to all the chaos people have created over calendar issues, our ministry decided to put together this study to address the biblical perspective on the "biblical calendar." This study is NOT another discussion of calendar systems, because the focus of this study takes a different direction on this controversial topic. You will read things that you probably never heard or read about before. The focus of this study is who does the bible say is "authorized" to create and manage the biblical calendar? Who is truly authorized by the scriptures, to determine the dates of the feast days and Sabbaths? We will show you that the scriptures will clearly reveal that all the calendar experts are wrong, all the multitude of calendar inventions must go, and there is not one person or ministry "currently" authorized by God to create a "biblical calendar". We will also show you that a future group will emerge that will have authority over the biblical calendar and until that group comes forward, there is no other person or organization permitted to touch the current Hebrew calendar in regards to feast day and Sabbath celebrations. The early church understood who controlled the feast day calendar and there was no arguments until a faction from within the Church of Rome decided to replace the biblical feast days with Easter and change the Sabbath to Sunday. Today, this same problem has emerged with multiple factions, creating multiple "biblical calendars," causing controversy, and disunity in the Body of Yeshua (Jesus). We hope this study will restore the beauty of the feast days and encourage all believers to celebrate on the same day in unity, instead of making the biblical feast days a point of disunity, arguments, and strife. For centuries church leaders have taught the early church renounced the Temple, gave up celebrating the feast days, and no longer followed the Torah, but the scriptural evidence contradicts this historic narrative and shows us that an entirely different scenario occurred in the early church. “Then Peter, filled with the Holy Ghost, said unto them, Ye rulers of the people, and elders of Israel” (Acts 4:8) – The scriptures recognize there are rulers over Israel. “And by the hands of the apostles were many signs and wonders wrought among the people; and they were all with one accord in Solomon's porch.” (Acts 5:12) – Solomon’s porch was located at the Temple, which the apostles and people gathered. “And daily in the temple, and in every house, they ceased not to teach and preach Jesus Christ.” (Acts 5:42) - Again, they went to the Temple daily. “And set up false witnesses, which said, this man ceaseth not to speak blasphemous words against this holy place, and the law: For we have heard him say, that this Jesus of Nazareth shall destroy this place, and shall change the customs which Moses delivered us.” (Acts 6:13-14) – Note: If the early church taught against the Temple, the law and the teachings of Moses, then why would they need to find “false witnesses” to accuse them of these things? “And he came to Ephesus, and left them there: but he himself entered into the synagogue, and reasoned with the Jews. When they desired him to tarry longer time with them, he consented not; But bade them farewell, saying, I must by all means keep this feast that cometh in Jerusalem: but I will return again unto you, if God will. And he sailed from Ephesus.” (Acts 18:19-21) – Note: Years after his conversion and even after the council of elders met as recorded in Acts chapter 15, Paul still kept the feast days in Jerusalem, which was run by the priests. Also note, that the Greek word for “keep” is poieó, which means Paul was not just attending the feast day, but was actually an active participant in the feast day. Some claim Paul only went to the feast in Jerusalem just to preach to the Jews and not participate in the feast day. However, the Greek does not support that. In addition, if Paul desired to preach the truth to Jews, then why didn’t he just stay with the Jews in Ephesus, who begged him to remain with them and instruct them? Scriptures show that Paul definitely went to Jerusalem to participate in the feast day at the Temple. “And when we were come to Jerusalem, the brethren received us gladly. And the day following Paul went in with us unto James; and all the elders were present. And when he had saluted them, he declared particularly what things God had wrought among the Gentiles by his ministry. And when they heard it, they glorified the Lord, and said unto him, Thou seest, brother, how many thousands of Jews there are which believe; and they are all zealous of the law: And they are informed of thee, that thou teachest all the Jews which are among the Gentiles to forsake Moses, saying that they ought not to circumcise their children, neither to walk after the customs. What is it therefore? The multitude must needs come together: for they will hear that thou art come. Do therefore this that we say to thee: We have four men which have a vow on them; Them take, and purify thyself with them, and be at charges with them, that they may shave their heads: and all may know that those things, whereof they were informed concerning thee, are nothing; but that thou thyself also walkest orderly, and keepest the law.” (Acts 21:17-24) - Jewish converts continued to follow the Torah and so did the apostles. Paul still considered the high priest the ruler of his people. Even when the high priest gave an order that went against Torah, Paul still followed the Torah by giving respect to the high priest. What do all these verses prove? It proves that the apostles and early church still gave respect to the Temple, to the Torah, and still honored the feast days at the appointed time as determined by the priests and elders of Israel. Let me repeat that again, the apostles and early church followed all the biblical feasts at the proper appointed times as determined by the rulers of Israel. The apostles and early church still followed the leaders of Israel? Yes. “And they called them, and commanded them not to speak at all nor teach in the name of Jesus. But Peter and John answered and said unto them, whether it be right in the sight of God to hearken unto you more than unto God, judge ye.” (Acts 4:18-19) - Peter asked what do you think is more correct to follow you or follow God? Therefore, we see the apostles and early church only followed the elders and priest when they did the right things according to the Torah. However, when the teachings and duties of the priests and elders of Israel lined up with Torah, then the apostles and early church followed the established rulers of Israel. This predominately centered around the activities of the Temple and the calendar dates determined by the authorized body of rulers. Therefore, the early church and the apostles are our example in what is proper concerning the calendar and feast days. The early church did not follow their own calendar, because they only followed the calendar of Israel that was controlled by the elders and priests of Israel. By commanding the apostles and the early church to do what the Pharisees bid you do, does not mean obey the things that go against Moses (Torah), nor against the will of God, nor does it require believers to follow after hypocrisy. However, when those who sat on Moses Seat' judged on matters of dispute, or they made decisions that correctly followed the Torah, then Yeshua taught believers to observe the judges decision. During the 1st century, the Pharisees for the most part upheld the law and their authority was respected. Why? Because they sat in the Seat of Moses as a judge that decided matters and disputes based on the Torah. Yeshua was teaching the disciples that "The Seat of Moses" and those who sat in that seat should be respected because of the scriptural authority these judges were given. So the people would come to Moses when they had disputes, had a question or a problem and they needed to know what they should do. When Moses sat in his seat of authority and made decisions, or issued verdicts, what were these judgments solely based on? 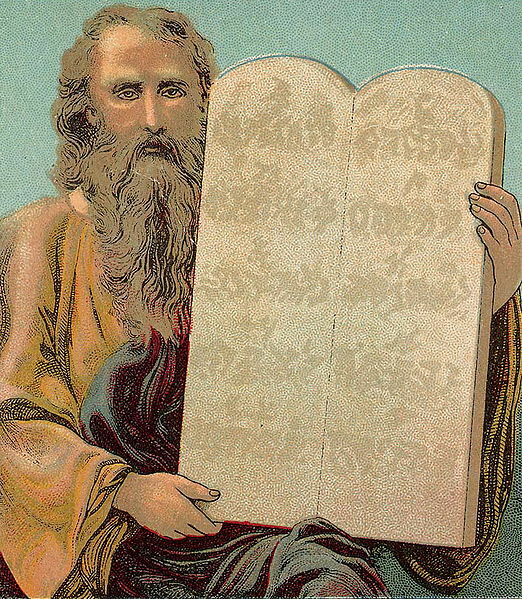 “I do make them know the statutes of God and his laws.” (Exodus 18:16) ***** There is the key point ****** Moses made decisions based solely on the statutes and laws of God, and this is what those who sit in The Seat of Moses must do also. This is why Yeshua taught that those who sit in the Seat of Moses should be respected, because they will handle disputes between two parties based off the Torah. Moses ruled over the people by the word of God alone. However, there came a time when Moses was so overwhelmed by this job that he needed help. What was the solution? Moses by the instruction of God, appointed 70 elders to help him lead the people, and other groups of elders that ruled on smaller matters. What happens when a judge attempts to rule by rabbinic traditions instead of Torah? Yeshua always confronted them with the Torah to show them their teachings and understanding were wrong. In almost every case, the Pharisees backed down when confronted with the truth of Torah, because they could not argue against the Torah, which was the final authority. This is what the apostles also did when they dealt with persecution from the leaders of Israel. Despite the fact that elders may get side-tracked into man-made traditions, Yeshua still taught that their authority had to be respected, because their authority was created by YHVH. When things got really bad, a good majority of believers dispersed into the nations to flee the oppression of the leaders. However, when they lived in Israel they respected the God given authority of the priests and elders in regards to matters of the law, resolving disputes, and civil issues. This group of elders were ordained by Moses to act on his behalf as judges, but then it was God himself that took this a step further and commanded Moses to appoint and set-aside an additional group of 70 elders. This group of 70 elders would take on the same Spirit as Moses in order to assist Moses and Aaron in ruling the people, and to free Moses and Aaron up to only deal with the bigger issues involving all the tribes. So the plan was to have a division of elders that acted as judges over various group sizes within the tribes and then you had a national group of 70 elders, which sat over all the tribes of Israel, and this group of 70, operated under the same power and anointing as Moses. So now there are judges over tens, over fifties, over hundreds, over thousands and then we have a group of 70 appointed elders that are given the same Spirit as Moses to judge and rule over all the people at large according to the Torah. This is the genesis for the Sanhedrin and the biblical establishment for their authority to rule. This was a group of elders fully ordained by God himself. This is what Yeshua (Jesus) was speaking about when he said the Pharisees sit in the Seat of Moses. They sit in that seat of authority to judge, rule, and make decisions for the people only according to the Torah. Note: The heads and assembly in 2 Chronicles was most likely the Elders of Israel and this Assembly of Elders gathered to determine the date of the feast days. Even the king could not make this determination on his own, because he needed the authority of the elders to set the date of the Passover. Only the priest were authorized to sound the silver trumpets in order to call the nation together for a holy convocation (meeting/appointed time). YHVH established an authoritative body to determine the calendar. We have just shown by scripture that YHVH established an authoritative body of elders and a priesthood in order to rule the people together in handling disputes and uphold the Torah. However, we will now see an additional function the Torah commanded these appointed elders and priests to perform. YHVH spoke to Moses and told him to: “Speak unto the children of Israel, and say unto them, Concerning the feasts of the LORD, which ye shall proclaim to be holy convocations, even these are my feasts. These are the feasts of the LORD, even holy convocations, which ye shall proclaim in their seasons.” (Leviticus 23:2, 4) --- Note --- Yahweh said "You shall proclaim" in their seasons. Yahweh set the seasons of when the feast days should fall into "in their seasons," but it was up to the elders and priesthood to work together in order to proclaim the feast days. Convocation (Hebrew – “Miqra”) means an official meeting, or an appointment. Proclaim (Hebrew – “qara”) means to make a proclamation, to appoint, call out. Qara is the same Hebrew word that was used when God proclaimed the light as day and the night as darkness (Genesis 1:5) and also when he proclaimed the dry land “earth” (Genesis 1:10). Qara is also the same word that was used when Adam proclaimed the name of every beast of the field and birds of the air (Genesis 2:19). The feast days had to be properly determined and proclaimed in their seasons (Leviticus 23:2, 4) and next we will learn who had the authority to declare these feast days. Who did YHVH command to make the proclamation of the feast days? 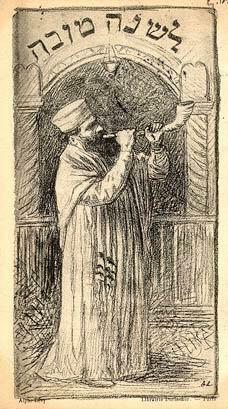 Moses was ordered to make these official trumpets. YHVH told Moses, "make thee" or "for thee", yet not just for Moses alone, but also for the priests who were the ones assigned to blast these trumpets when so ordered to do so, by Moses and perhaps later by the elders and priests of Israel. YHVH, DID NOT leave his calendar and feast days to everybody (individual or small groups of Israelite's) to celebrate whenever they wanted to. Nor, did he allow self-proclaimed calendar experts to pop up and declare the feast days based off their "personal studies". Calendar experts or rebels against the system Yahweh established? We must recognize that YHVH did not give everyone the authority to manage his calendar. This is why we have so much confusion today. Everyone thinks they're a biblical authority empowered to determine when the year starts, or empowered to set the dates for feast days, or the Sabbath. However, it is actually unscriptural for a single person or a small unauthorized group to assume they have the authority to act on behalf of all of Israel, or the church. Where did they get this authority or right to assume they can declare the dates of feast days, the Sabbaths, and the time of the new year for all of Israel and the church? It doesn’t matter how much study these experts claim they did, or how many ancient text they read, or how many degrees they have, because the Torah is very clear --Yahweh established and only authorized certain people with the power to manage his calendar No arguments!! However, this authorized body does not exists yet. "Gather unto me seventy men of the elders of Israel, whom thou knowest to be the elders of the people, and officers over them." (Numbers 11:16) The term "of the elders of Israel" are men who are recognized as elders and leaders of Israel. Therefore, what gives a modern individual the right to believe they can just walk in and assume the role as the full authority over Israel, to act as a one-man Sanhedrin, and declare the dates of the feast days, and the start of the new months, or new year, all on behalf of the people of Israel or on behalf of every believer around the world who celebrates the feast days? The biblical answer is they don't have this authority and they are actually going against the Torah. The Sanhedrin determined the calendar during the time of Yeshua/Jesus and thereafter. Yahweh told Moses to pick 70 elders that would rule with him, help him make decisions and to judge the people. During the time of Yeshua (Jesus), this same religious assembly made up of 71 Jewish leaders, which ruled over civil, military, political, judicial and religious matters. 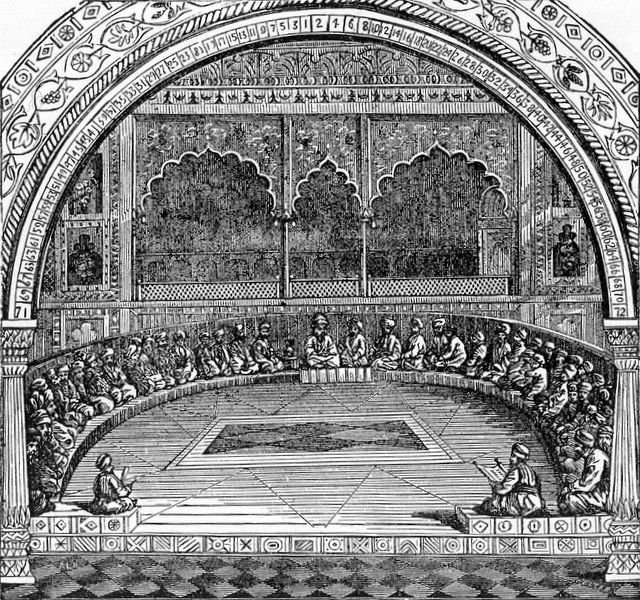 This assembly, called the Great Sanhedrin, was made up of Sadducee's, Pharisees and was headed by the High Priest. It was this assembly of priests and elders that managed the calendar for the entire nation of Israel. It should be noted that Yeshua never spoke out against the official calendar of this body of elders. Why? Because Torah gave these elders the power to determine and proclaim the feast days as we discussed earlier in this teaching and to run the affairs of the Temple. 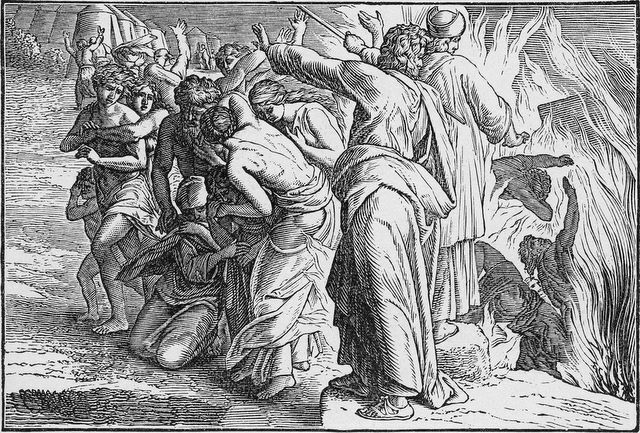 After the destruction of the Temple in 70 AD, the Sanhedrin came under increasing persecution and danger from Roman officials, which made it increasingly dangerous for the Sanhedrin to collect information on the heavenly bodies and to convene to manage the calendar. The Sanhedrin feared that if the Jewish people did not have a single unified calendar to follow and to keep the feast days, then future generations would no longer observe the feast days as they should. Therefore in 358 AD, it was the decision of the Sanhedrin to use their knowledge to develop a calendar that would preserve the feast days, and a calendar that would not require the Sanhedrin to be around in order to calculate and manage the calendar, or to declare the times of the feast days. The last official act of this final Sanhedrin was to create a calendar that would endure until a future Sanhedrin could be formed again. This last Sanhedrin basically used the same information Sanhedrins have been using for centuries to create a perpetual calendar that would run on “auto-pilot,” so to speak. Therefore, the Hebrew calendar we have today was the last act of an official Sanhedrin, which had the biblical authority as “Elders of Israel” to manage the calendar and to handle religious matters for all of Israel. They were an authorized body according to Torah and they fulfilled their duty to proclaim the feast days with their unique calendar. Therefore, to go against this last act of an authorized body of elders is to go against the instructions of Torah. So who gave these modern day calendar experts authority? These so called calendar experts today, have zero authority to usurp the decision of the last Sanhedrin. Yet, all of these calendar experts and inventors of multiple calendar systems will boldly claim they discovered the one, the only, the "true biblical calendar of Yahweh". In reality, all they invented was confusion. This is why we have multiple people, following multiple calendars, so that everyone is celebrating biblical feast days on different dates. Yahweh is not the God of confusion (1 Corinthians 14:33) and he only empowered a select group from Israel with the authority and ability to proclaim the feast days and run the future Temple services. No single individual, or group today currently has that authority. Repeat - No single individual, or group today currently has that authority to change the calendar. This also includes those fringe groups who think they can create their own calendars such as the Sacred Name cult, the Samaritans, the Essene, or any other group. In fact, Yeshua (Jesus) and Paul spoke about this matter. “Ye [Samaritans] worship ye know not what: we know what we worship: for salvation is of the Jews.” (John 4:22) – Yet, the Samaritans even to this day believe they have the one and only true calendar. “Who are Israelites; to whom pertaineth the adoption, and the glory, and the covenants, and the giving of the law, and the [Temple] service of God, and the promises…” (Romans 9:4) - Paul recognized that it was the Israel (its elders and priests) that had authority over the Temple and the calendar that the Temple services operated from. The calendar and feast days are only declared by an authorized body in Israel as we seen previously by the many passages of scripture we listed. 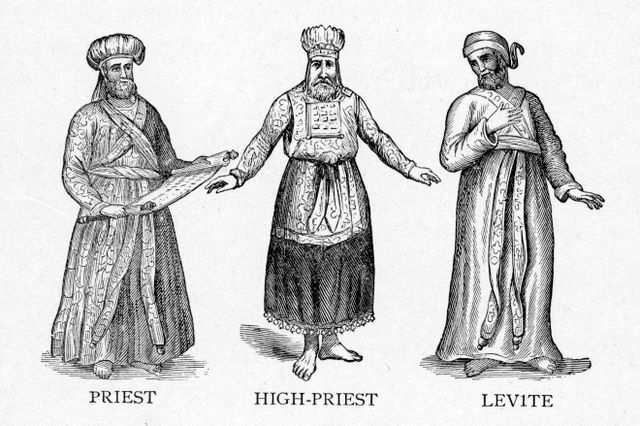 The Temple service is run by the legitimate priesthood of Israel and not by an individual Israelite or self-declared group who want to declare themselves priests. Put these “so-called” modern day calendar experts to the challenge. If anyone thinks they can just go out and create their own feast day calendar then they need to prove by what scriptural authority they were given to create their own calendar. If these calendar experts think they can just go out and observe the moon and proclaim the start of a month, or proclaim a feast day, and demand people follow their proclamations, then they need to show us by what scriptural authority were they granted the power to legally act in that office, when the scriptures clearly says only the legitimate Elders of Israel could do this. Therefore, put these self-proclaimed calendar creators on the spot and ask them for proof of their scriptural authority. What gives them authority to act on behalf of Israel and usurp the authority of the Elders of Israel (Yahweh's true authorized body)? The early churches of Jerusalem and Asia Minor followed the Hebrew calendar as calculated by the Elders of Israel. The Hebrew calendar was important, because these early churches needed to know the start of the months and the time of Passover. However, the Church of Rome rejected the celebration of Passover in favor of Easter Sunday. In order to make all churches comply with the Easter celebration, Rome ordered all the churches to abandon the Hebrew calendar managed by the Jews, and ordered all the churches to adopt the Julian calendar. This caused a great controversy between the churches in the West (Rome) and those in the East (Asia Minor, Jerusalem, etc). This 2nd century dispute was called the “Quartodecimanism Controversy” and may not have been resolved until the mid-fourth century. This just shows that even the early church, up to the mid 4th century, still looked to the Sanhedrin to know when the feast days began until Rome decided it would create its own calendar and holiday (Easter) to avoid dealing with the Jewish elders. Should we repeat this same mistake Rome made by rejecting the calendar of the last Sanhedrin in favor of some self-appointed authority? What will the calendar "experts" do when a third Temple is built in Jerusalem? The Bible clearly teaches that a new temple will be built in Jerusalem, also known as “The Third Temple”. 2nd Temple was the one rebuilt after Israel came out of captivity from Babylon. This Temple was also expanded by King Herod. Here we can see that Yeshua (Jesus), the Apostle Paul, and the Prophet Daniel all spoke of an end time Temple that will restore sacrifices, the celebration of feast days, and of course a calendar that will be maintained by the priests and elders of Israel to once again determine the correct dates for the feast days. Therefore, the question that you need to ask your favorite calendar expert is the following: “What will you do when the calendar is once again maintained by the priests and elders at the Temple in Jerusalem?” Will your favorite calendar expert yield to the Temple calendar maintained by the authority of the elders in Israel? Will your calendar expert admit they are wrong when the Temple calendar uses a different calculation from what they teach? Will they fight against the Temple calendar and hold their feast days at different times? What will they do? Their answers may give you insight into their heart and their true willingness to properly observe the Torah. We are not arguing over the methods used to determine times, the method of calculating feast days, or disputes over which method must be used to calculate the new year, or months. The main point is do modern day calendar inventors even have the authority to create, or restore a calendar, or proclaim the dates of the feast days? Do they have the authority to demand people celebrate the feast days on the dates they proclaim? We feel we made our point, which clearly shows modern calendar experts don’t have the authority to invent calendars and make feast day proclamations. This is totally invalid according to the scriptures. Look at the calendar disputes during the time of Yeshua (Jesus). As we briefly discussed earlier in this teaching, during the time of Yeshua, you had a group called the Samaritans that had their own calendar. This calendar was often off by a month from the Hebrew calendar. The Essenes also had a calendar that was a solar based calendar, which is described in the Book of Enoch and the Book of Jubilees. Each of these groups claimed their calendar was the “only true biblical calendar.” However, Yeshua ignored all of these other calendars and only followed the true calendar that was managed by the priest and Sanhedrin of Israel. Therefore, we are to make sure we are on the right calendar, which currently is the authorized Hebrew calendar and not the calendar of some self-proclaimed calendar expert or a fringe group that goes against the proper authority that Yahweh established in Torah. You can continue to follow these self-proclaimed calendar experts, but doing so will go against the Torah. Why fight against the truth of scriptures when you can embrace the truth? 1​. Why the Jewish Calendar? 2. Is the Jewish Calendar Wrong?